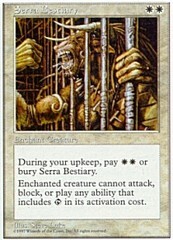 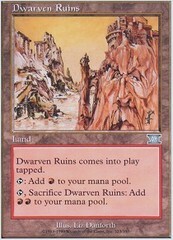 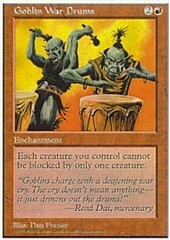 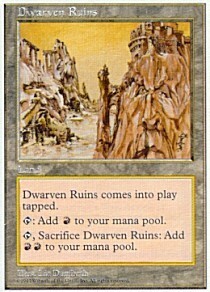 Card Text: Dwarven Ruins comes into play tapped. 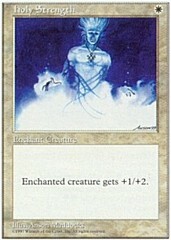 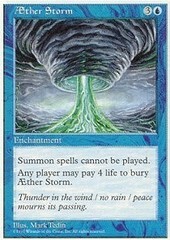 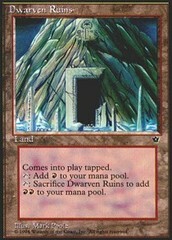 T Add R to your mana pool. 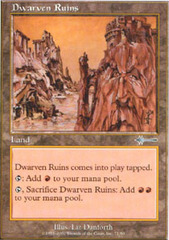 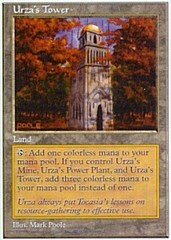 T, Sacrifice Dwarven Ruins Add RR to your mana pool.